It’s so surreal that now I have a son! He’s only a few days old, and like a new notebook, you just want to write on it as neatly as possible and make the pages look perfect and clean. Err not that my son is a notebook, but you get my point. I basically want to start his life as perfect as it can be. And because he’s fully dependent on Dean and I, it’s our responsibility! 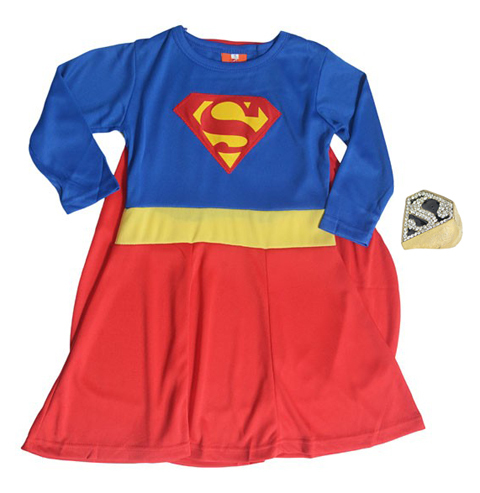 Of course all moms want their children to be Superchild! Maybe even make them wear this to prove the point even more to the public. But for them to reach their potential and be Super, we’ve got to be Super Parents too and learn about what it takes to get there. For me, the tool for a Super Child is…. Good immune system. He can be intelligent or handsome or sporty, but what’s the point of it all if his immune system breaks down all the time? 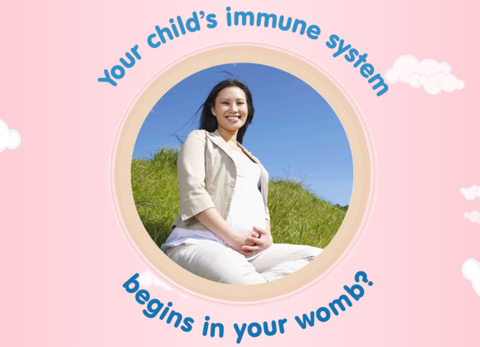 The FIRST 1500 DAYSTM of a child’s life molds his immune system. This is from the conception and pregnancy ok? 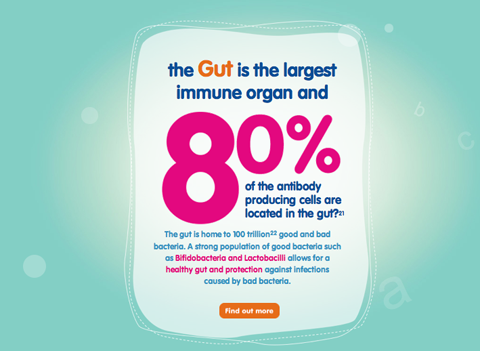 So what fights harmful bacteria is our gut, which is the largest immune organ and houses 80% of all antibody-producing cells. Good bacteria and bad bacteria… all 100 trillion of them living together in irony in there. 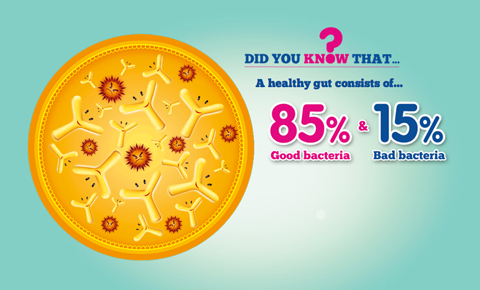 There’s supposed to be 85% good bacteria and 15% bad bacteria in our gut, so good still rules don’t worry. What does the good bacteria do? 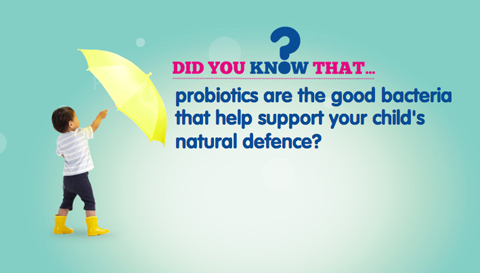 Well duh it fights the bad bacteria to make sure it doesn’t rule the gut. By creating an acidic environment so bad bacteria won’t grow and by producing immune cells and antibodies to destroy the bad bacteria. It also stimulates the responses of the immune system. 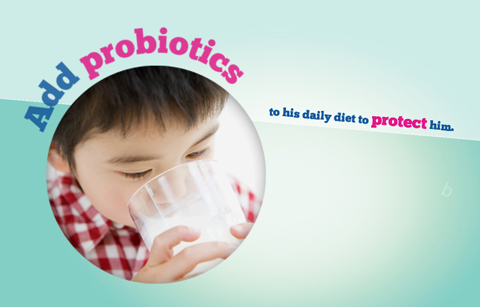 Do we need daily replenishments of probiotics? Now go and dig more info from the Start Well Stay Well website so all our children can be healthy and super! FIRST 1500 DAYSTM – It covers the period of pregnancy and lactation, weaning and childhood years beyond 1 year of age. Err…when ur being paid to put up an advertorial please don’t in the advertorial itself state “Why am I telling you this? Because sharing is caring”. It’s a paid advertorial. You’re doing it because you’re being paid to. There’s absolutely nothing wrong in putting up a paid advertorial on your blog. Your blog is super successful, naturally you will have many advertisers. But saying things like I;m telling u this because sharing is caring in a paid post is just ridiculous.